Attracting over thousands of visitors every year, the next edition of the most eye-catching Malaysian construction trade event, the Malaysia International Construction & Infrastructure Technology Exhibition (MBAM OneBuild) is scheduled to be held from 29 to 31 October 2019 at Kuala Lumpur Convention Centre. 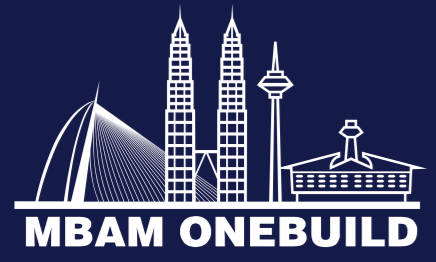 MBAM OneBuild is an established and a well-recognized professional trade platform dedicated to the local and international industry players to explore business opportunities. It is also an effective learning platform for industry stakeholders to gain useful knowledge and market information in the construction sector. The exhibition has successfully gained much attention from the local community due to the wide variety of showcase and programmes provided. This year, MBAM OneBuild shall continue to strive on taking the exhibition to greater heights with enriched content and exhibits that bring more value to the said industry and ensure a more worthwhile participation to all.